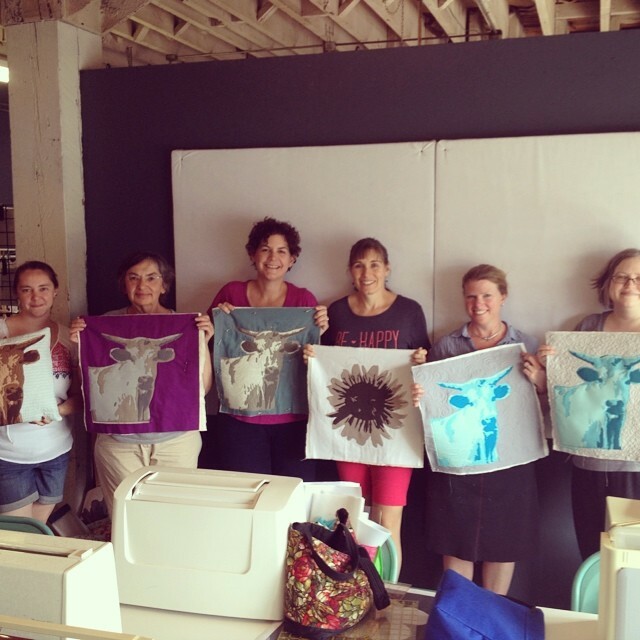 I’m teaching another session of my pictorial applique class at Modern Makers on Saturday. It’s not too late to sign up. Visit Modern Makers to enroll. The supply list can be found on the same page you enroll for the class or by clicking here. 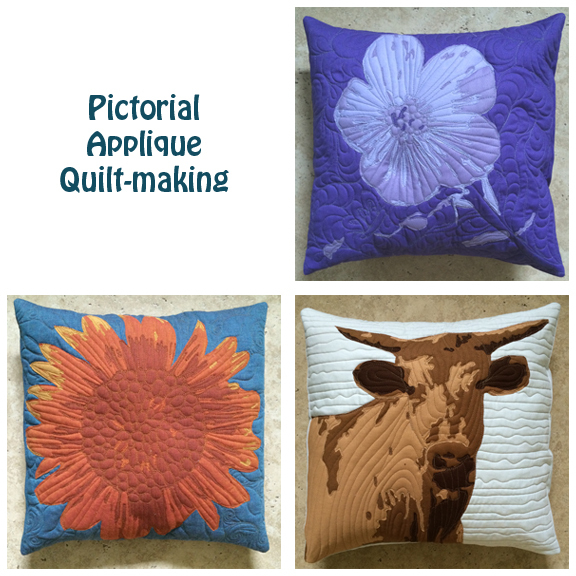 I’ll bring the pattern for you to make your choice of the three projects shown above. * My last class had 5 students. Each person in the class walked out the door at the end of the 5 hours with a quilt sandwich of their project that had been layered with fabric to build the image & a good start on the quilting.